It has become impossible to lead one’s life, or conduct one’s business without adequate broadband access. From the United Nations to France to Finland, broadband is now recognized as a basic human right. Unfortunately, rural communities across the nation face economic disenfranchisement and failed economies due to inadequate broadband access. To address this challenge, the Community Foundation of Mendocino County joined forces with the Economic Development and Financing Corporation of Mendocino County, the Mendocino Coast Broadband Alliance, and Mendocino County government to form the Broadband Alliance of Mendocino County. 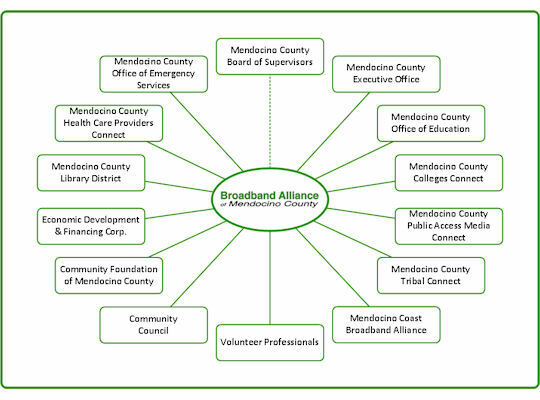 Administration of the Broadband Alliance of Mendocino County is supported by the Community Foundation of Mendocino County through its Broadband Development Fund. 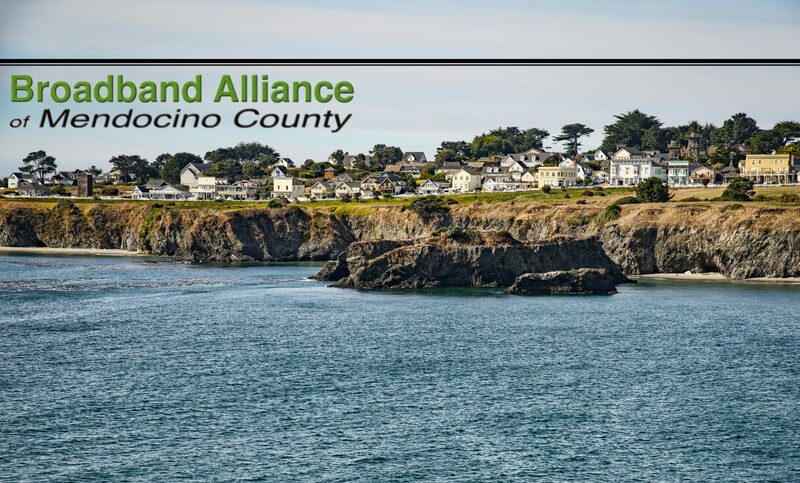 The Alliance is endorsed by the Mendocino County Board of Supervisors, with participation from the Mendocino County Executive Office, Office of Emergency Services, Office of Education, Library District and Planning & Building Services. Diann Simmons Program Director, Economic Development & Financing Corp.
John Goldsmith Board member, Economic Development & Financing Corp.